thecatapult.in is a new blog focusing on the matters concerning the Indian national interests, strategy and the affairs of the State. The First Post today is about the Chinese side war gaming a scenario on the Tibetan plateau and the border with India in case of a (planned?!) steady deterioriation of relations leading to war with India after the conclusion of the Beijing Olympics. Field Marshal Sam Manekshaw (April 3, 1914- June 27, 2008 ) who engineered one of India’s greatest victories on the battlefield in a thousand and half years during the 1971 war is no more.He passed away at the military hospital at Wellington in the early hours of June 27, 2008 after battling an acute illness. He was 94. 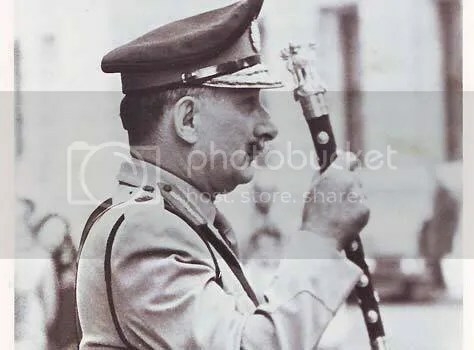 His other greatest moment was when he swiftly took charge of the situation when the morale of the country had taken a drastic beating with the defeat of its forces at the hands of the Chinese in NEFA in 1962 and when everyone expected the fall of Assam to the Chinese PLA any moment. His response “There will be no withdrawal without written orders and these orders shall never be issued” energised the Armed forces and the nation to stand tall against a deceitful enemy. The stuff that legends are made of. Libyan Leader Mu’ammar Al-Qadhafi: Obama Suffers Inferiority Complex That Might Make Him Behave “Whiter Than the White.” He Should Be Proud of His African, Muslim Identity. Reporter: This is not a military post. Rather, it is a fast-food restaurant in the southern suburb of Beirut. The name of the restaurant and its appearance make all the people passing by stop, but the dishes it serves are bound to make people stay longer Kalashnikov, RPG, Dragunov, Viper, B52 are all examples of these dishes. Yousef Ibrahim, restaurant owner: I felt this was a good idea. It attracts customers in an unconventional way. I noticed that the moment I opened the place, there was a lot of business. Despite the militaristic concept, whoever looks at the menu starts laughing. My goal was to make people laugh before they ask me: “Why weapons?” If I gave the sandwiches regular names, everything would be plain. Reporter: High-quality bread is used in Western dishes, but what might “terrorist bread” be? Reporter: The restaurant’s slogan is “A sandwich might kill you,” because, as the owner says, its dishes are outstanding both in size and in taste. We chose the RPG sandwich – that is, chicken skewers – for lunch. How does it taste? Even though it has the name of a medium-range weapon, it is still nothing but a sandwich. Shri N.Ram, the well-known Editor-in-Chief of “The Hindu” of Chennai, has been the toast of China for an article purported to have beenwritten by him refuting the allegations levelled by the Dalai Lama and his supporters regarding the events of March in Lhasa . The Chineseauthorities have been gratified by what they see as his vigorous articulation of the version of the events as put out by them. 2. A report on Shri Ram’s article disseminated by the State-owned Hsinhua news agency of China is annexed. It is learnt that this has beentranslated into the Tibetan and Uighur languages and copies distributed in all the monasteries and educational institutions in theTibetan-inhabited areas of China. It has also been made required reading in the patriotic re-education classess for Tibetans being organisedby the Chinese authorities.In the meanwhile, the Chinese authorities have reduced the duration of the stay of the Olympic Torch in Tibetfrom three to one day. The torch will be in Lhasa on June 21 instead of June 19. 3. The dissemination of Shri Ram’s article is unlikely to have any impact on the Tibetans and Uighurs. Nor will it have much of an impact oninternational opinion on the recent events in Tibet because Shri Ram’s policy of “see no evil, hear no evil and speak no evil” with regard toChina is well known right across the world.His popularity in China is confined to the Chinese ruling circles. 4.After writing this article, I showed this to a number of Indian friends. While a majority agreed that this deserved to be written anddisseminated, some asked why do this since it could reflect on the credibility of a great institution of Chennai. 5. After carefully considering their advice, I concluded that this needed to be written in the interest of the Indian people and the lovablepeople of Tibet. It will be moral cowardice to remain silent when the Editor of a highly respected paper of Chennai uses his access to itscolumns to demonise the Dalai Lama and the Tibetans just as Beijing is in the habit of doing. Dude, where goes my tax money? How would you feel if your hard earned money is taken away and “redistributed” to the mostly political activists or favored constituencies of the respective parties in the name of the poor? or blown on some minister’s foreign jaunt or better still into the black hole of hair brained schemes like the NREGS and for the purpose of sending more and more rich or middle class OBC kids to the IITs, IIMs and other institutes of higher learning while myself who has by now paid a good amount in tax money since the last 4 years cannot rely on the government to provide proper services in return- i have to drive on pathetic roads, put up with unreliable and erratic power supply, pathetic public transport, drains that overflow at the first burst of monsoon and added to that the country sorely lacks an efficient public health care system, primary education system and so on and so forth. India will reform much faster and things will change for the better much more sooner if only more and more Indians demand accountability from the government for how it is spending their hard earned money it collects as taxes. Narendra Modi should be commended for being the first person to demand such accountability. I completely agree with him that the government should be held accountable for how it spends the taxes it collects from the people. Should the brightest student in a class be forced to dumb down to accommodate the dullard? The essence of democracy prevents Indian politicians from giving honest answers to such questions. Ever since “equitable growth” and “inclusive development” became consensual buzzwords, India’s policy framework has been geared to target the last person in the last row. On paper this sounds noble but the reality is less appetising. In the guise of giving a leg up to the needy, we have punished enterprise, rewarded criminality, indulged mediocrity and brutalised the vulnerable. The Incredible India of smiling peasants and the Fab India-kitted woman prancing about on a Rural Employment Guarantee picnic — a la the ads during the IPL telecasts — exist entirely in the imagination of demented propagandists. The mindless attachment to failed mantras has blunted the politicians’ capacity for innovative thinking. This may be a reason why Modi’s plea to the Centre to let Gujarat enjoy complete fiscal independence for one year has been met with incomprehension or drawn a hysterical response — including the silly assertion that he be charged with sedition. The chief minister’s demand that revenues from Gujarat be largely spent on Gujarat is a radical departure from existing federal norms. At present, the Centre collects the lion’s share of all major taxes, including income tax and customs and excise duties, leaving the states with the crumbs from stamp duties, irrigation cess, tax on liquor and VAT on consumer sales. A percentage of the central revenues are ploughed back to the states under the Finance Commission’s guidelines. But the returns are never proportionate. Additionally, the Planning Commission doles out the capital expenditure on approved schemes. The present system was centred on two principles: the government in New Delhi should be a redistributive Centre and development should be centrally planned and not left to the market. The system worked without major hiccups as long as the Centre played the role of a neutral arbiter and until the public sector occupied the “commanding heights” of the economy. Both assumptions are no longer valid. While the market economy has ushered rivalry between states for private investments, fiercely competitive politics has forced ruling dispensations to be more responsive to voters. At the same time, the growing mismatch between those who pay taxes and those who benefit from government expenditure has produced strains in places as far removed as Darjeeling and Mumbai. There is a feeling that revenues generated in the region are inadequately ploughed back and that the present system favours the inefficient. Likewise, there is dismay over the culture of non-accountability that governs grandiose schemes such as the loan-waiver and the NREGS. Some people, it would seem, pay their hard-earned money in taxes while a small, privileged minority squanders and loots it recklessly. Most important, the system is not geared to apportioning accountability for expenditure. A politician in, say, Jharkhand doesn’t give a damn for fiscal rectitude because he knows that the funds at his disposal have actually emanated from somewhere else. Remember Indrajal Comics, Amar Chitra katha, Chandamama, Chacha Chaudary, and Tinkle? Their characters Phantom, Mandrake, Flash Gordon, Bahadur, Shikari Shambu, Suppandi and many others used to rule the roost in the Kids entertainment section before the advent of Cable TV in the 1990s. Now there are a dime a dozen cartoon channels running 24/7 to keep the kids occupied. but back then these were the ones alongwith Superman, Batman, Disney(Donald duck and his nephews, Mickey mouse, goofy, pluto…), and some others. I used to have a big store of them but then over time they were all either given away, lost or tattered beyond recognition.Wish i had held onto them because today these have supposedly become collector’s items. and atleast some of them like ACK and Tinkle seem to be getting a modern makeover for a return. What I—and hundreds of others like me—are in search of is a brand that was once a household name in comics. Indrajal. Aka the adventures of Mandrake the Magician, Phantom—the Ghost Who Walks, sci-fi hero Flash Gordon and homegrown citizen cop Bahadur. Characters that held kids in thrall for decades.